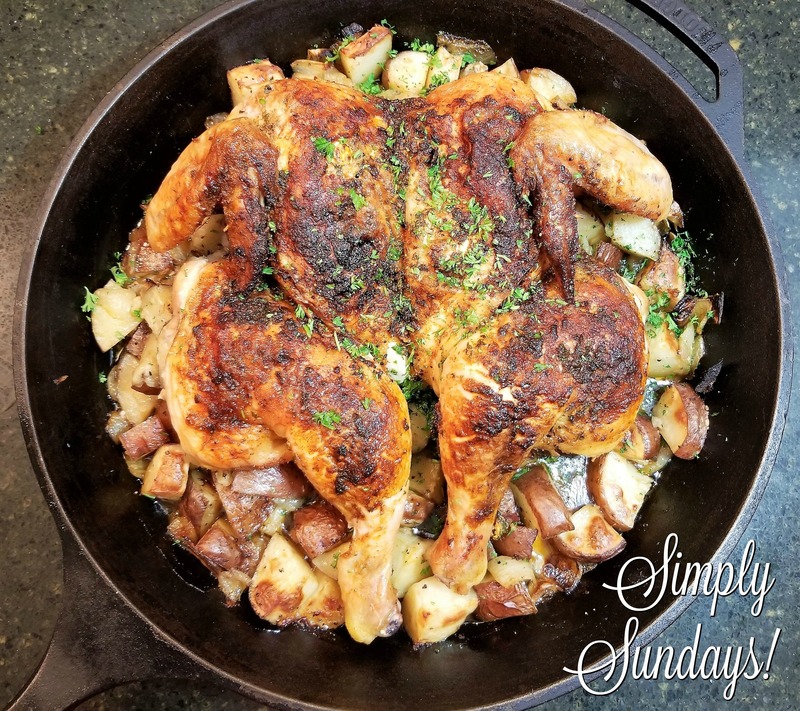 Oven Roasted Spatchcocked Chicken – Simply Sundays! Place the chicken back on top of the potatoes, drizzle with reserved cooking liquid, sprinkle with some fresh parsley and serve! Spatchcocking a bird is such a great way of cooking and so versatile, I even do it on the BBQ. I love the seasoning on this it sounds delicious! I much prefer roasting chicken this way although I usually buy it flattened already. I haven’t done it myself, but want to try it! Yours looks perfect. Love the spices and rub you put on the chicken! It’s easier than you think! Give it a try Jacqueline! I always cook chicken with herbed garlic butter. It makes the meal so flavorful and delicious! And I like your choice of seasonings – definitely the recipe I would try! Perfected roasted chicken. Removing the backbone must be hard work. Interesting to learn new dishes such as spatchcocked chicken. It’s a cinch if you have sharp kitchen shears. Give it a try Mayuri! Oooh! The chicken is roasted perfectly! Great color you got on it! I have always wanted to make a spatchcocked bird. I can’t wait to try this out!